"Yet another murder committed last night in Whitechapel. This makes three! Who is the monster that goes after these poor wretches so furiously? A madman, doubtless. This time, again, the killer has warned the Police and signed his letter Jack the Ripper." 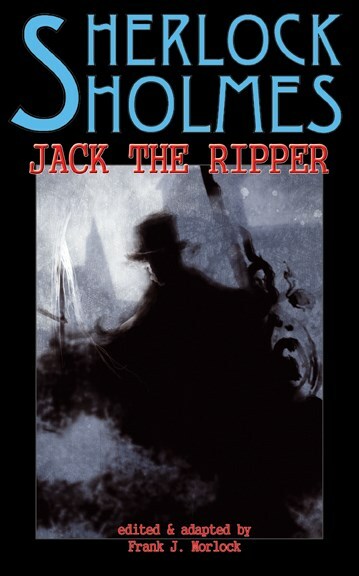 Jack the Ripper is one of the most enduring archetypes in criminal fiction. This book presents, for the first time in English, two of the earliest pieces of Ripper fiction ever written in French: Gaston Marot & Louis Péricaud's stage play Jack the Ripper from 1889, and No. 16 of the French pulp series The Secret Files of the King of Detectives (which later became Harry Dickson) from 1908 in which the Great Detective matches his wits against Jack the Ripper. These two stories are translated by Frank J. Morlock, author of Sherlock Holmes: The Grand Horizontals. Gaston Marot & Louis Péricaud. Jack l'Éventreur [Jack the Ripper]. Paris, 1889. Anonymous. Jack l'Éventreur [Jack the Ripper]. Les Dossiers Secrets du Roi des Détectives No. 16, Paris, Fernand Laven, 1908.